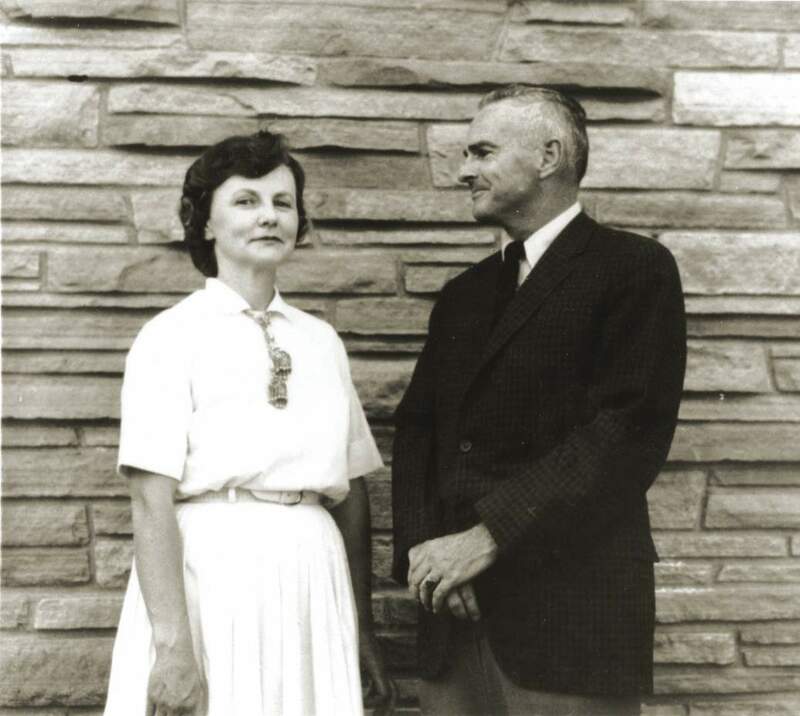 Florence and Robert Lister, one of the most important couples in Southwestern archaeology, taught hundreds of students, wrote a variety of important books and monographs, and helped make archaeology understandable to the wider public. Florence Lister gestures toward Sun Temple during a Mesa Verde National Park tour for the Smithsonian Associates. 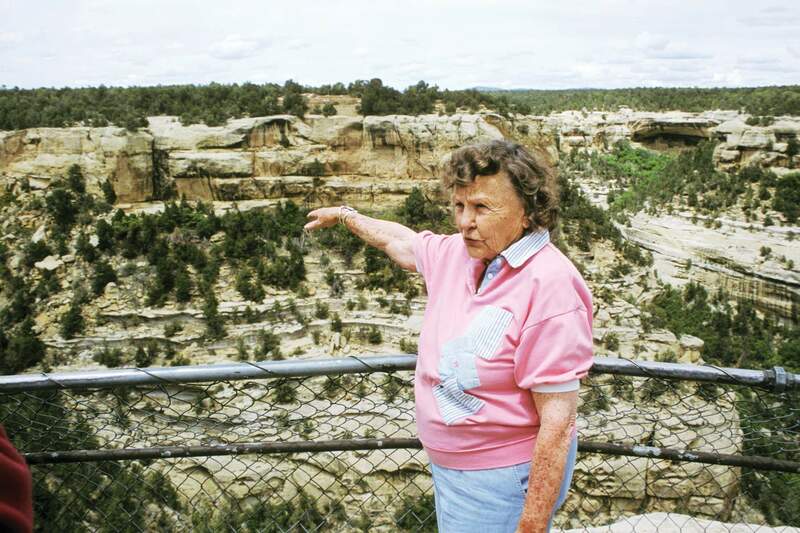 Across the Southwest, she also led tours for the Crow Canyon Archaeological Center and the Four Corners Outdoors School. Florence Lister met her husband, Robert, at Chaco Canyon in the summer of 1940. She is an expert on the history of excavations at Chaco, specifically at Pueblo Bonito, and is the author of Chaco’s Vanished Past. MANCOS – Florence Lister’s distinguished career in Southwestern archaeology began at Chaco Canyon in the summer of 1940. As a young University of New Mexico anthropology student, she yearned to be an archaeologist. That summer’s UNM field school included running conversations with novice students, constant dust, dirt in her hair, heat, blisters and “a camaraderie fostered by isolation in Indian country.” She loved it. 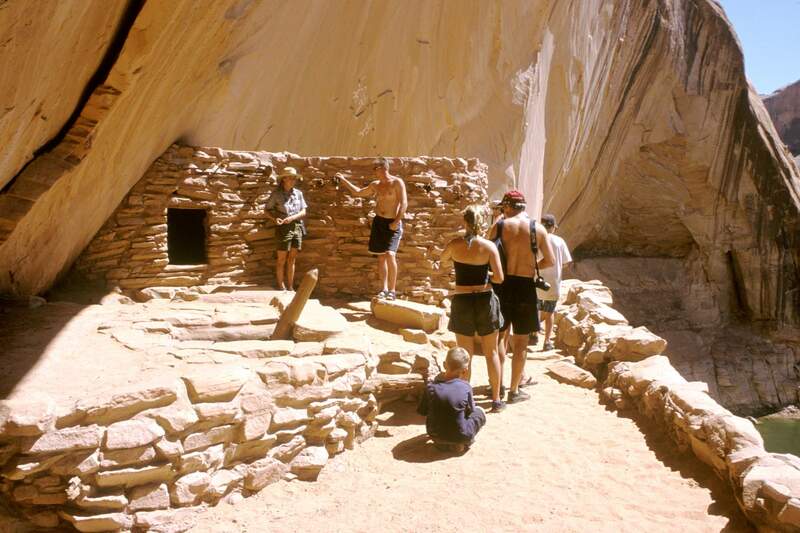 Thus began one of the great archaeological teams and professional partnerships in Southwestern archaeology. Robert Lister, a Harvard graduate and former National Park Service ranger, would help start the anthropology department at the University of Colorado-Boulder, where he taught for 22 years. Always, Florence was at his side. As I sit in her comfortable Mancos home with south-facing windows looking out at Mesa Verde National Park, I’m surrounded by books, photos, Southwestern art and a wall of awards and tributes – even one of which would have capped a satisfying career. What exactly did she do? Well, for starters she baked a lot of bread. She cooked for sunburnt, starving graduate students and kept them fed on a budget of $1 a day per person. Everything Florence Lister attempted she excelled at, and her curiosity took her around the world. An early expertise in Mesa Verde ceramics would lead to scholarly inquiry into Spanish ceramics and global visits “anywhere the Spanish went” including Morocco, Mexico, Spain, Portugal and the Philippines. Florence and Robert Lister researched and wrote definitive books titled Andalusian Ceramics in Spain and New Spain and Maiolica Ole – Spanish & Mexican Decorative Traditions. As the giant Aswan Dam went in on the Nile River, Florence Lister was in the Sudan studying Nubian ceramics from another mountain of sherds. She became fascinated by Chinese porcelain imported into Mexico and published the history of northern Chihuahua titled Storehouse of Storms. The girl who first visited Chaco as a college student would return with her husband, who became director of the Chaco Project for UNM and the National Park Service. 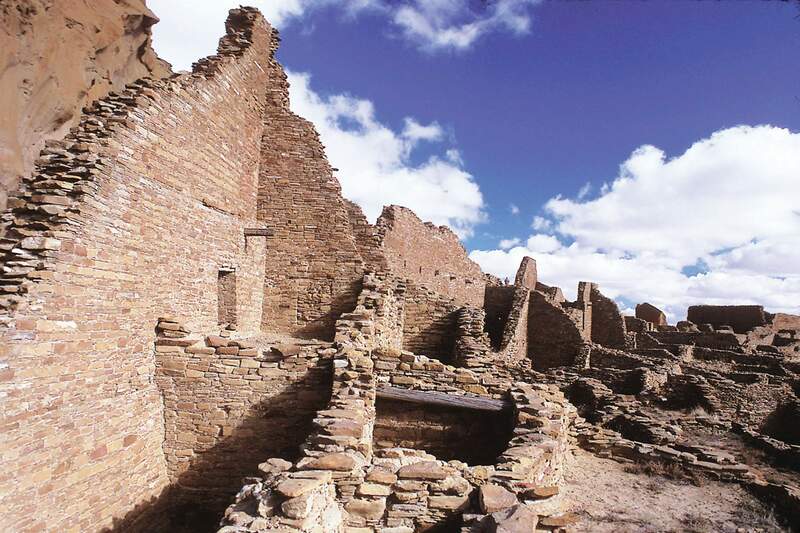 Together, the Listers would write the important book Chaco Canyon, but their breakthrough book was Those Who Came Before, now published by the Southwest Parks and Monuments Association. Florence Lister had started as a journalism major in college and then switched to anthropology. By the 1980s, there was plenty of archaeological research about the Southwest, but it was buried in dry, tedious reports, dense with scientific jargon. The Listers changed all that. The Listers researched and wrote Earl Morris – Southwestern Archaeologist and Aztec Ruins on the Animas, but after her husband passed away in 1990, Florence intensified her writing to help us understand Southwestern prehistory. She wrote Potluck, Behind Painted Walls, In the Shadow of the Rocks, Prehistory in Peril: Durango Archaeology, Chaco’s Vanished Past and her definitive Troweling Through Time: A Century of Mesa Verde Archaeology. Florence Lister’s life abounds with stories, and she’s not through sharing her decades of experience. As part of Colorado’s preservation month, the San Juan Basin Archaeological Society in Durango, with funding from the Colorado Archaeological Society, is sponsoring a Lister presentation from 6:30 to 8 p.m. May 17 at the Durango Public Library. She’ll return to Chaco one more time for a talk titled “The Treasures of Pueblo Bonito.” Hopefully, she’ll also tell us a little more about herself, for she is one of Chaco’s treasures, too.